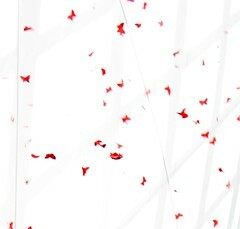 After the building was opened by HRH Prince William of Wales thousands of red butterflies came fluttering over the Cocoon. This photo shows some making their way down the outside. There are more photos of this on my Flickr. Pestival Symposium: How Insect Are We?